“HEAVEN DOES NOT CREATE ONE MAN ABOVE OR BELOW ANOTHER MAN” I am a Recruitment Consultant in the Industrial & Manufacturing Team of Navigos Search, where I advise corporate clients on the best recruitment strategies with the focus on industrial & manufacturing sectors. My proactive attitude and professional working style are highly valued qualities for a consultant. 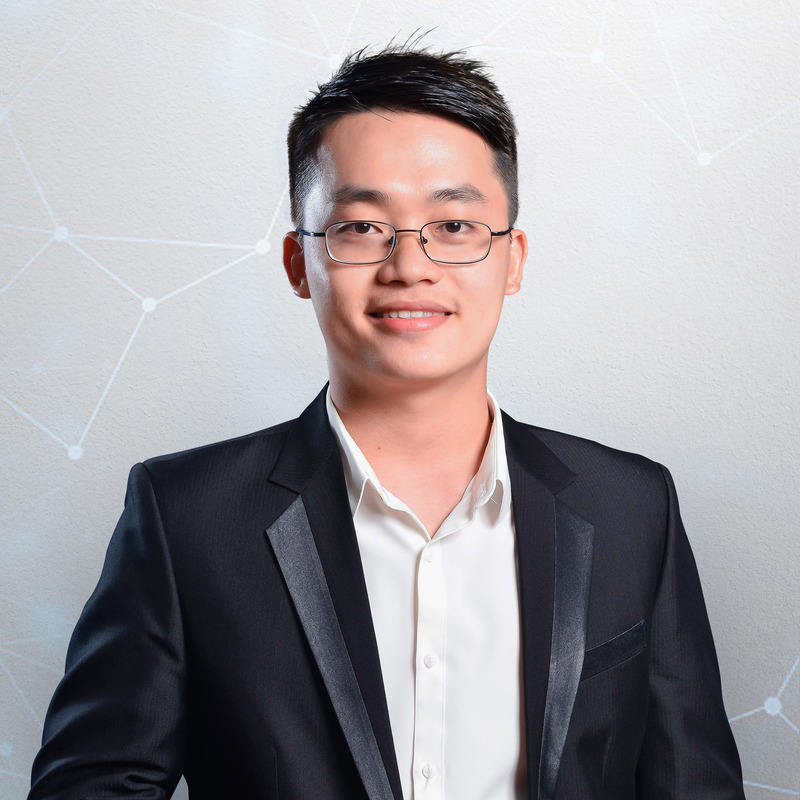 By using popular social platforms, I am able to connect with many potential candidates as well as industry experts to learn more about the market, exchange information and build new connections and have become a trusted adviser and friend for all those who are looking to improve their careers. QUALIFICATIONS •	Minimum BS in Manufacturing/Production/Industrial Engineering, any Engineering Discipline or equivalent. •	MSc in a related technical field or an MBA is a plus. RELEVANT EXPERIENCE •	Minimum 8 years of working experience in Manufacturing Operations or Engineering role in a high-tech industry (Photovoltaic or Semiconductor) or a Technology based High Volume Manufacturing (HVM) environment is preferred. •	Experience in Project Management with prior engagement in New Process or Technology transfer. REQUIRED SKILLS •	Relies on experience and judgment to plan and accomplish goals. •	A moderate degree of creativity and latitude is expected. •	Ensure adherence to all Company processes and procedures, including safety, housekeeping and etcs. •	May require some degree of traveling as needed to facilitate New Process transfer. TECHNICAL: •	Proven organizational skills – ability to prioritize. •	Strong knowledge of basic Engineering techniques and practices. •	Knowledge of MS Office software (strong knowledge of Powerpoint/Excel required). •	Understanding of Underwriters Laboratory (UL), ISO 9000/14000 & OSHAS 18000 standards/procedures (experience preferred). DECISION MAKING: •	Select, evaluate, and develop qualification plan objectives with minimal supervision required. •	Prioritize tasks consistent with achieving overall Organizational/Department metrics and goals. •	Implement planning decisions based on team consensus to weighted scorecard. •	Able to functionally serve as a delegate for their direct with moderate guidance. PROBLEM SOLVING: •	Ability to assess, define and solve complex supplier and material procurement issues with minimal supervision. •	Apply appropriate benchmarks, data analysis, and risk management techniques to solve problems. •	Ability to contribute & influence team based initiatives and contribute to the development of mutually beneficial solutions. PROJECT MANAGEMENT: •	Understands and demonstrates intermediate project management skills. •	Demonstrated ability to handle multiple projects at the same time and meet project deadlines. •	Ability to close projects on time with a minimal level of supervision. •	Demonstrated experience writing test plans, analyzing/reporting data, and documenting results and conclusions based on plans and data. INTERACTION: •	Relationships with Cross Functional teams are maintained and improved with excellent communication. •	Contributes and influences the cooperative efforts among members of a project team. •	Frequently interacts with functional peers and negotiates support and production time with Engineering/Manufacturing groups. •	Interaction normally requires the ability to gain cooperation of others, conduct presentations concerning specific projects, objectives and schedules to functional Managers/Directors within various organizational levels. JOB COMPLEXITY: •	Works on projects and issues of moderate complexity where analysis of situation or data requires evaluation of a variety of factors, including an understanding of current departmental needs. •	Exercises judgment within defined procedures and policies to determine appropriate action. •	Follows processes and operational policies in selecting methods/techniques for obtaining solutions. •	Develops and administers project plan schedules and performance requirements with minimal supervision. •	Works on issues where analysis of situations or data requires an in-depth knowledge of organizational objectives. PHYSICAL REQUIREMENTS •	Ensure adherence to all Safety Procedures and Housekeeping standards. •	Will sit or stand for long periods of time throughout the day. •	Required to lift up to 25 lbs. •	Will walk and climb stairs. •	Will reach over shoulder heights and below waist. •	Required to use hands to lift, handle, carry or feel. •	May be required to kneel, bend, talk and hear. •	Specific vision abilities are required. Technical and professional skills •Fluent in reading, writing & speaking English •Good command in office software (Word, Excel, PowerPoint, …) •Well understanding of plants’ inspections activities including NDT and have good networking with plant maintenance services + NDT markets. Performance Indicators •Minimum number of client visits per months to achieve Sale target • Number of new OPEX service developed with Rev / OP achieved •Financial figure of OPEX services in the year Candidate Profile •University degree with engineering backgrounds •More than 7 years’ experience in inspection & maintenance. •Have good networking in plants inspection / maintenance, specially working in Fertilizer Production/Oil & Gas Plant is preferable. •Willing to travel within the country and abroad Future Career paths •Grow up in term of professional knowledge/experience in line with the Company’s business growth. •To be responsible for higher position when appropriate. Professional behaviors •Sensitive to company policies and results driven •Exhibits good credibility •Entrepreneur/self-starter with good ethical reputation •Autonomous, teams worker and team builder. Dynamic, enthusiastic, adaptable, persistent. • Graduate’s degree university or above in Electrical Engineering, and other related Engineering fields. • Understanding of system of wind power: wind turbine, lighting protection system, fire-fighting equipment, waring air traffic light, prevention section shadow is movement, remote monitoring components, control system and SCADA system for wind turbine, solutions for turbine tower, solutions of submarine cable… • Understanding of HV (High Voltage) / MV (Medium Voltage) system, substation, transmission grid Construction. • Understanding the implementation of the project in the form of EPC contract, especially the implementation of wind power projects under EPC contract. • Experienced as a wind power project manager with a capacity of 25÷50MW (minimum 5 years). • Strong leadership and communication skills, self-motivated with demonstrated problem-solving capability. • Fluent in English is a prerequisite. • Flexibility to travel to project sites in various locations whenever necessary and/or stay abroad for long periods of time. •	Experience in Poultry nutrition and production. •	University diploma/degree or higher in agricultural, nutritional or veterinary sciences. •	Ability to travel frequently across the region. •	Ability to work remotely, autonomously and within teams. •	Excellent communications skills in English. •	Minimum of 10 years of experience in a similar role including team management responsibility. •	Experience in Poultry and/or Swine nutrition and production. •	University diploma/degree or higher in agricultural, nutritional or veterinary sciences. •	Ability to travel frequently across the region. •	Ability to work remotely, autonomously and within teams. •	Excellent communications skills in English.